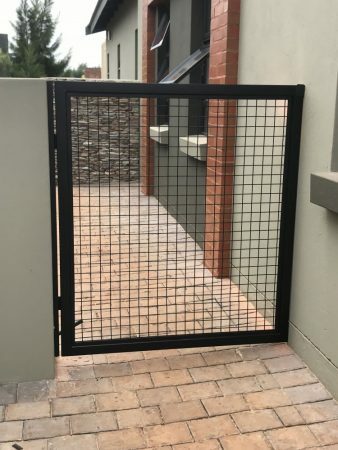 Once again more Excusivio delightful combinations of complementary wrought iron products for yet another very satisfied client. The components are all fabricated to resemble each other in the basic design all aimed at a synchronized end product. 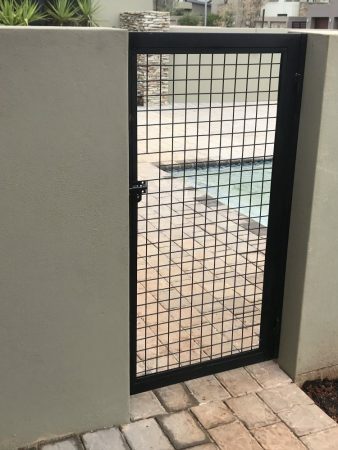 Don’t let the see-through feel of the gates let you think they are weak, these wrought iron pool, back gates and double swing gates are as strong as iron will allow. 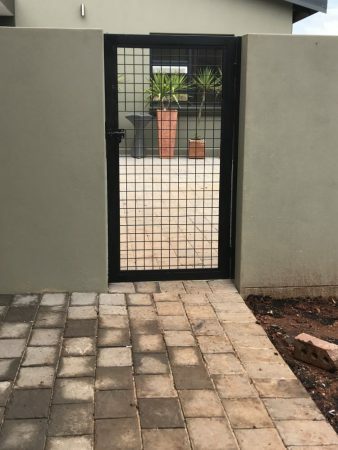 Exclusivio Wrought Iron Designs have created a beautiful jet practical solution for a client out of wrought Iron. Frames and posts are 50mm x 25mm rectangular tubing. Weld mesh 50mm x 50mm x 2.4mm. All complete with bullet hinges and slide locks. The finished product to prevent rust is spray primed and painted black in accordance with complex requirements. 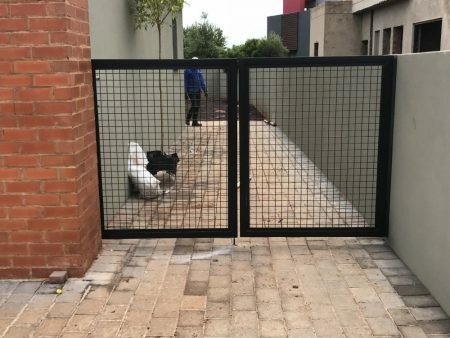 Exclusivio Wrought Iron Designs give our Clients attractive security products that also provides a functional security barrier.